On a teeny little farm, in an itty-bitty coop, a very small hen laid a big, giant egg. And out of this egg came one big, humongous . . . something. "It's big!" clucked the little rooster. "It's enormous!" clucked the small chicken. "It's an--elephant!" peeped the smallest chicken. "Run for your lives!" they cried. No matter how they try, these clueless chickens can't make sense of the gigantic new member of their family--until he saves the day. 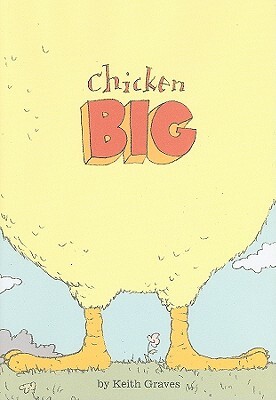 With wacky, laugh-out-loud humor and silliness to spare, this BIG twist on the classic Chicken Little story lends a whole new perspective to what it means to be chicken.